This slow cooker soup is great for meal planning because it can be made ahead of time and frozen in serving-size containers. That way you can just grab a small container to bring to work each day. Instead of trying to thaw out an entire large container of soup! 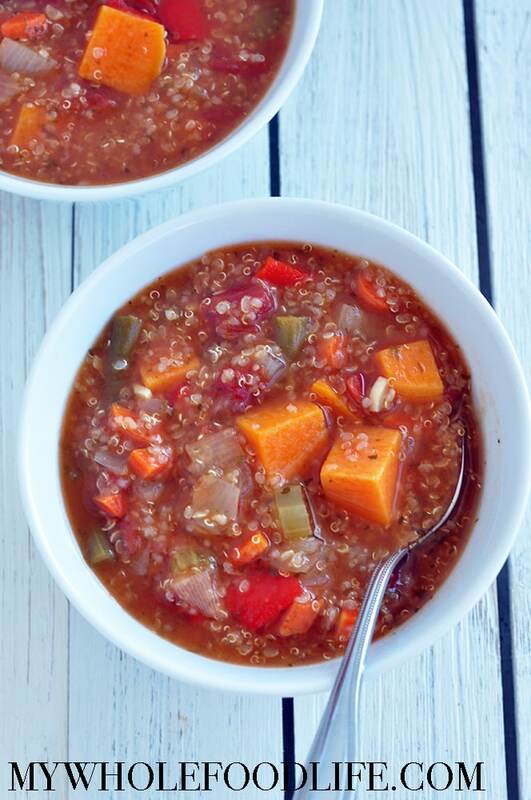 Put all ingredients, except the quinoa, into a slow cooker. Cook on high for about 2-3 hours. Add the quinoa for the last 12 minutes of cooking. 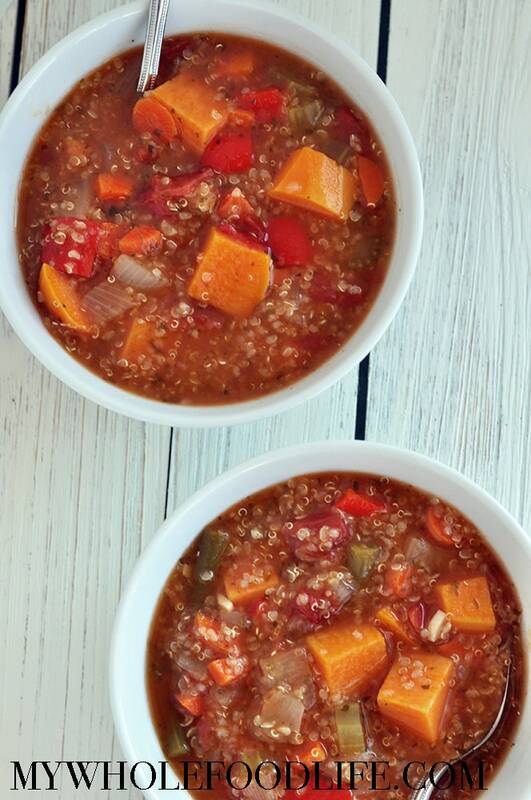 Once the quinoa is cooked, the soup is ready. Do you know the amount of calories in a serving and the size of a serving? We made it today and it is really good.